"It was around 10 months ago that I first began this project. At the time, I was on a road trip down south in northern NSW, and as I drove through the long, lonely stretches of highway, I found myself thinking over an article I'd read earlier that day about the rise in youth suicide. It really hit home for me - having faced many demons of my own in my youth, and also losing my father to suicide when I was 18 - and I found myself wishing there was something I could do to help change our tragic culture. I’d spent the last several years working as a magazine editor, ghostwriter and freelance journalist, focusing on social injustices such as domestic violence, human trafficking, and child abuse, and although I was (and still currently am) extremely passionate about my work in all of these areas, I felt that mental health was an important topic that I wanted to cover. As I drove down south that winter night in 2016, I found myself thinking of all the incredible people I’d heard of who’d once felt, as I once had, that life wasn't worth living. Not just celebrities, but also people I know personally; people who the world would be worse off for, had they given up. At that time, I didn’t know that this project would one day become a book, or the countless hours that would be spent making it happen—I just knew it had to be created. When you’re stuck in a hole, it’s hard to believe that things could ever change, and that’s when people give up. I wanted to use the power of storytelling to show people—through real-life memoirs—that where you are in your journey right now, is not where you have to stay. 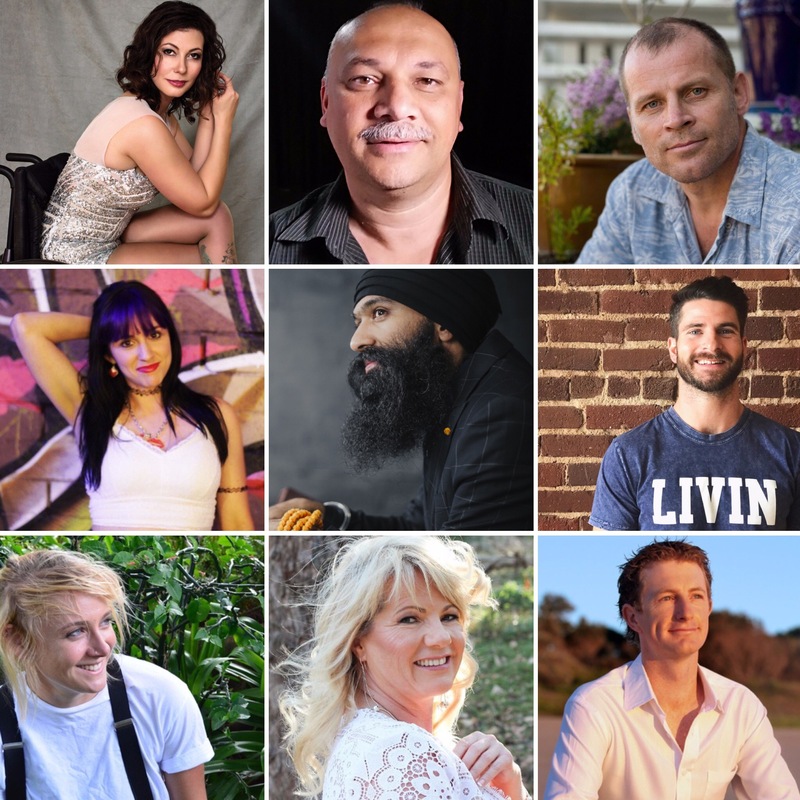 And so, over the course of about 6 months, I set out on a mission to find and interview inspirational Aussies from around the country—extraordinary people who had faced their biggest demons and emerged triumphant—and bring their stories together. It's been an incredibly inspiring journey and I'm forever grateful for the people I've met, and their willingness to share their stories with me. Together, we hope to be able to show people around the world that while life is full of adversity, we can use our challenges to rise above to something greater. Suicide is never the solution, and hope and healing are always waiting to be found."